In part 1 we have established tenant context. In part 2 we have configured authentication. 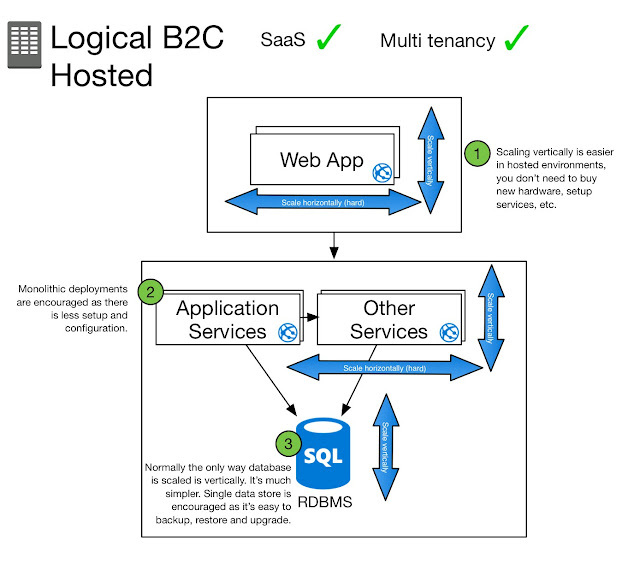 Now we will be getting tenant data out of our RDBMS. 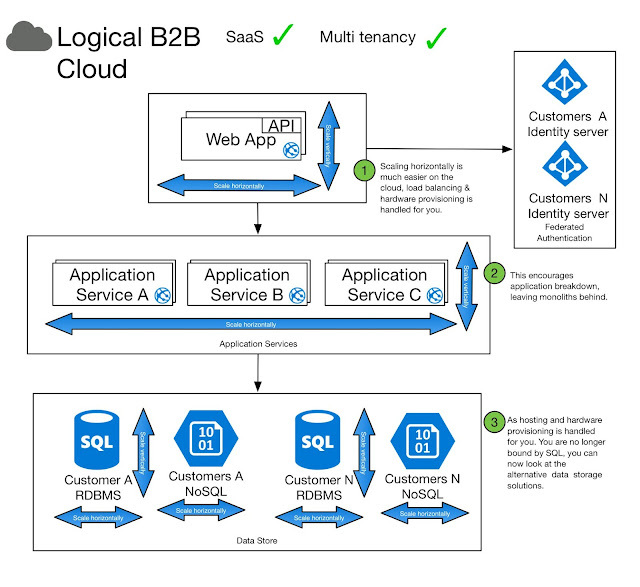 Before we start storing and retrieving data it's important that you figure out what kind of multitenancy data segregation model you are going to go for. This is an important point and it really depends on your business requirements. 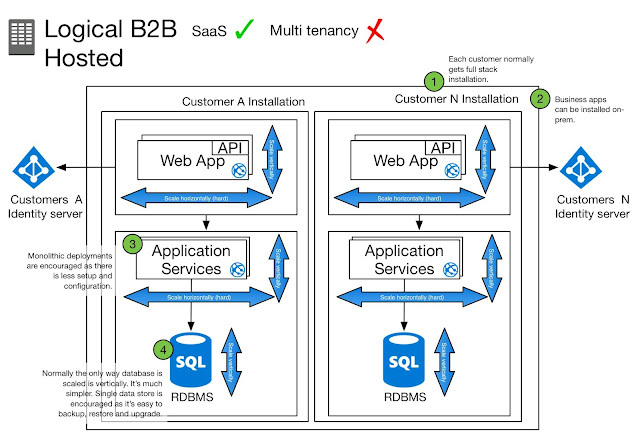 To help you choose check out this Microsoft article: Multi-tenant SaaS database tenancy patterns. My sample app is called “Stop The Line”, it is very basic. It holds very little data, and I have no idea if it's going to take off or not. 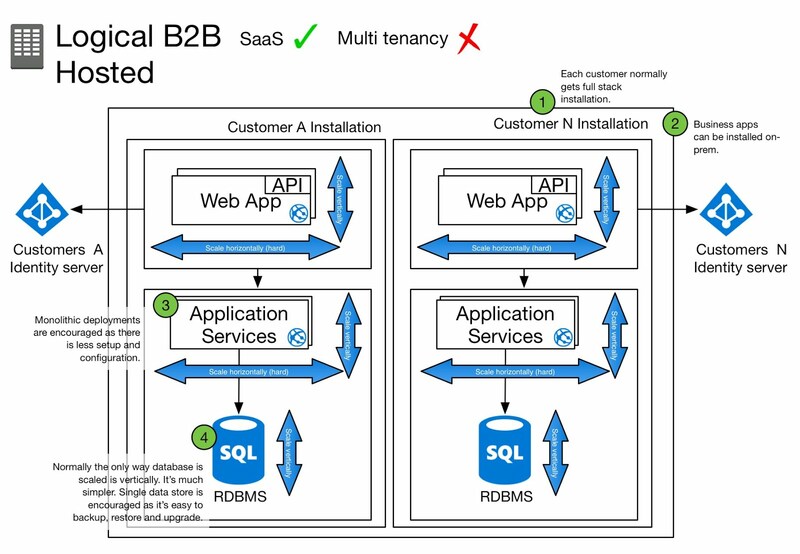 I have decided to go with "Multi-tenant app with a single multi-tenant database" pattern. Put simply, this means that all my tenants are going to share the same database and I am going to use foreign key to discriminate between them. This is one the cheapest and fastest ways to implement tenancy. When it comes to development what I don't want to do is to specify tenant id in each query and I don't want to manually specify tenant id when I create and update my domain objects. Remember the onion architecture, as far as I am concerned tenancy is an infrastructure concern and it should stay out of my domain. After few minutes of searching I have found this great blog post that meets these requirements: Bolt-on Multi-Tenancy in ASP.NET MVC With Unity and NHibernate: Part II – Commingled Data. Let's incorporate this in to my sample app. In my sample app it's possible to query in multitenancy context and without. For example, if a new tenant is signing up for an account then we would not apply the multitenancy context. This is because TenantContext will not exist until tenant was created in the first place. 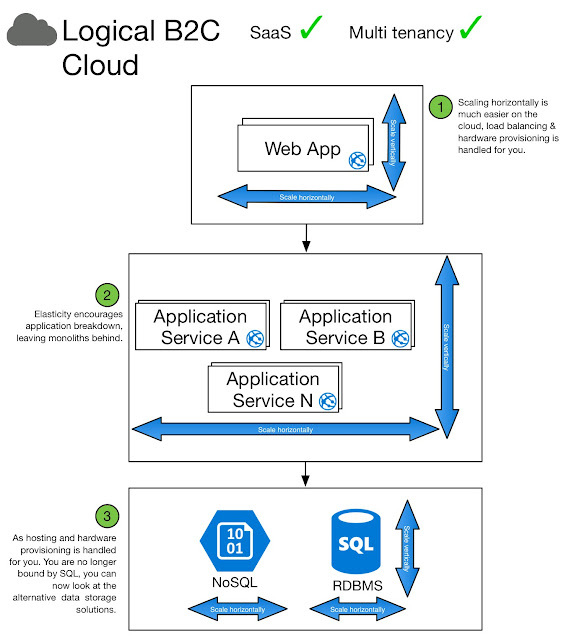 Also in this implementation I have tried to keep infrastructure decoupled so that it would not be too difficult to move to another database tenancy pattern. As there are going to be two different contexts, non-multitenant and multitenant. I have decided to create NHConfiguration base class. Below is the standard configuration that is going to be used for non-multitenant read/write. This configuration will get injected into the Unit of Work. If you are new to this, then you should read Unit Of Work Abstraction For NHibernate or Entity Framework C# Example. I have omitted the class implementation. Unfortunately with this solution you will still need to add the private "tenantId" field to your domain classes. The good news is that you don't have to do with it anything inside your domain. It will be handled by infrastructure. The bad news is that it still there. I have spent few hours trying to remove it, I have used some reflection and proxy class generation techniques, unfortunately to no avail. If you find an elegant solution please do share it. This is where standard configuration is expanded and interceptor is set. Interceptor will be used when some object is updated or saved. Above you will notice that NHSharedDatabaseMultiTenancyInterceptor is injected in to ConfigurationMultiTenancy. Here is the actual interceptor. Configuring reads is much simpler. 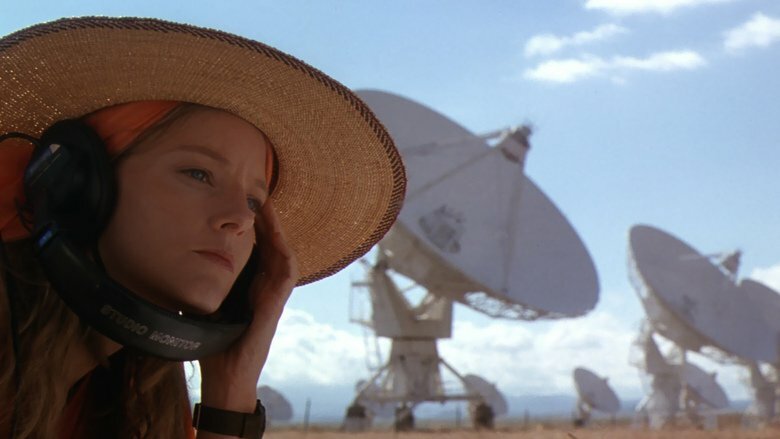 You just need to enable a filter and provide the parameter. First you need to define the actual filter. Then you need to enable it. Finally you just need to apply it. Few years ago I was having a conversation with one of my friends about cloud, SaaS and multitenancy architecture. I was telling him how different it was to normal “hosted” app architecture. That we can setup new business tenant with custom url in seconds. He has said, well, instant tenant provisioning and custom URLs are not new. So what’s so special about it? Blogger and WordPress have been doing it for years. At that point in time I have struggled to answer his question, there was too much to say, ideas in my head were too raw. In this article I am going to explain why cloud, SaaS and multitenancy is revolutionary. B2C, Consumer Applications Business sells to consumers Spotify, Netflix & Blogger. Your solution’s technical requirements will differ a lot depending on what business model you follow, we will be compare typical B2C and B2B requirements shortly. Software as a Service (SaaS) This is where you don’t care about software versioning, upgrades, deployments, where it sits, etc. You just pay for it and use it. If you are using Spotify, you are using SaaS. Cloud Before cloud we had hosting companies, where you could rent a VM and host your site. Now we have Cloud, which is the same thing but it’s just much smarter and comes with lots of tools. 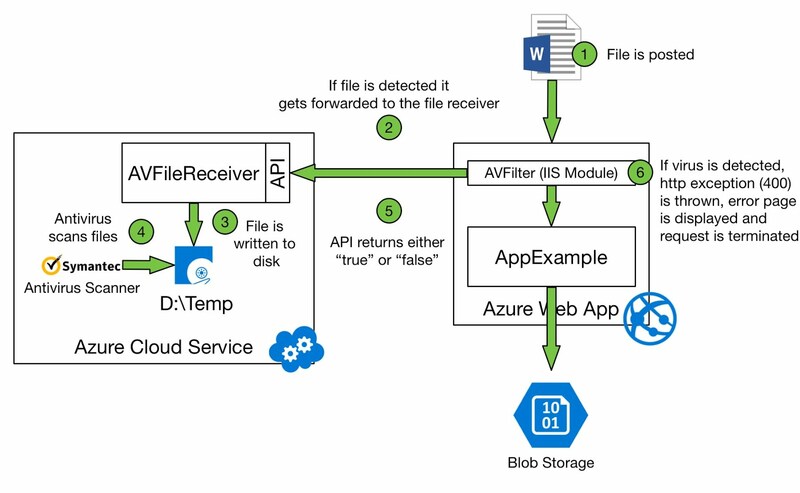 Companies such as Microsoft offer prepackaged services that seamlessly scale your apps horizontally and all you have to do is just upload your binaries via FTP to a folder. Multitenancy Traditionally each company would get their own “installation”, with multitenancy there is only one installation and everyone is seamlessly using it. These concepts are very important as they will feed of each other, as I will illustrate this later on. People use cloud, multitenancy and SaaS as synonyms and this is a mistake (I make this mistake as well). Availability Consumer facing sites, need to be highly available, if they are not, this can cause reputation damage and loss in revenue. Authentication Consumers need to be able to login using some form of login, Google, Facebook, etc. PCI DSS When customers make payments it’s important that card data is used & stored securely. Recovery Point & Time Objectives Similiar to availability it’s critical that if data was corrupted or upgrade has gone wrong that app can recover quickly with as much data as possible. This list is not complete, however the point is that typical B2C apps don’t have lots of technical requirements enforced upon them from consumers. This is why B2C service is so much cheaper, how much do you pay for Netflix and Spotify? Corporate Identity Integration (Single Sign On Authentication) Medium/Large size companies have their own identity apps such as AzureAD, they don’t want to use your built in authentication mechanism if they can enable Single Sign On. This is where Federated identity comes in. Audit They would like assurance and full trail of what’s happening inside the system, so they will ask for audit. Data restore & Backup If company makes a mistake in their environment they will want to restore their data back to how it was. Integration Often they have their own systems and they will want to integrate their existing applications with your application. Security clearance Depending on the industry your business customers might want your ops staff to be security cleared, if this is not possible then sensitive data needs to be hidden or encrypted. Escrow Businesses need to ensure businesses continuity, to do this they need to be able keep going even your business will go out of business. ISO 27001 Key management, Antivirus, Firewalls, Segregation of duties, Pen testing, etc. Reporting Access to data to be able to report on it. Customisation & Configuration Data retention, authorisation, workflow, etc. Availability Business sites don’t necessarily need to be as highly available as in a lot of industries people work 9am-5pm. PCI DSS When businesses make payments it’s important that card data is used & stored securely. Recovery Point & Time It’s critical that if data was corrupted or upgrade has gone wrong that app can recover quickly, business finance or patient data can’t be lost, huge amount of productivity can be lost if this not designed correctly. Support Be able to troubleshoot issues quickly. On-prem installation Company is able to install your software in their own environment. This list is not complete, however if you compare B2B to B2C it’s easy to see that there is a lot more to it. So when companies charge other companies a lot more for their services we can appreciate why this happens. 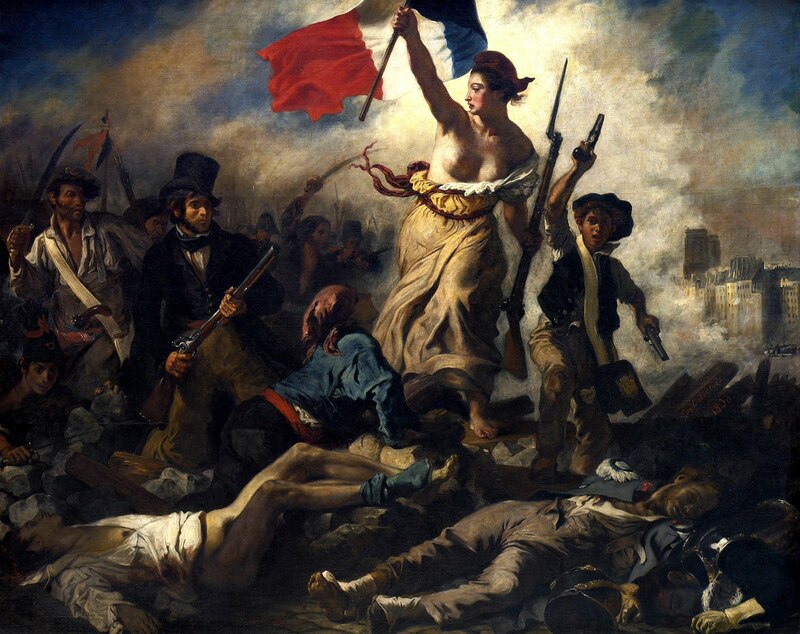 So where is the revolution? Consumer facing sites were doing SaaS with multitenancy for years. Websites like YouTube and Ebay have been scaling their solutions for a long time. Cloud has just made it easier for them to scale and in turn it has reduced their hosting cost. 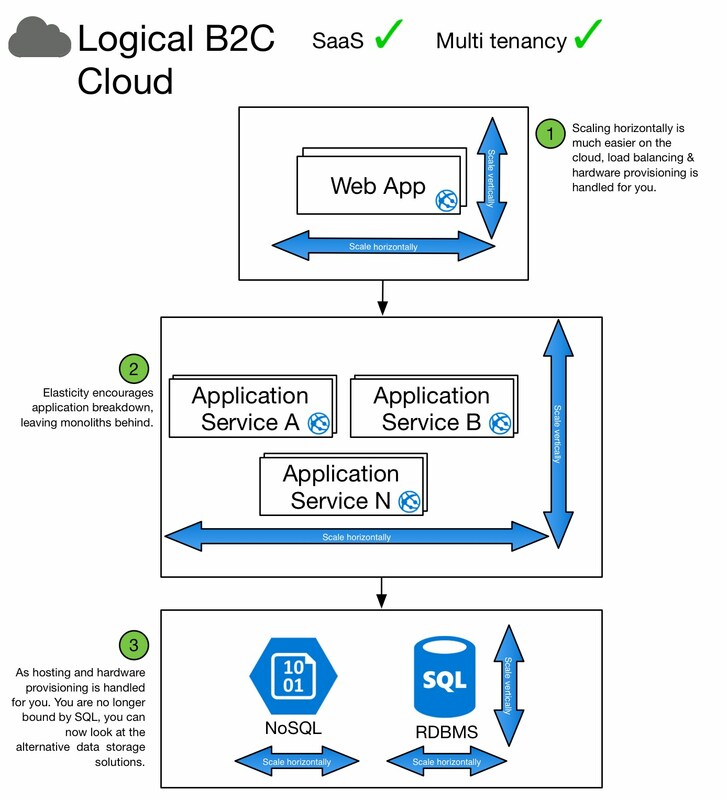 Business applications were doing SaaS for a long time, however multitenancy and cloud was just not a thing. Most service providers painfully installed software for each customer manually, then, they upgraded each customer one at the time and they monitored each customer one at the time. You get the picture. Customer provisioning took weeks and maybe months. Multitenancy offers something truly awesome, it removes slow per customer installation and upgrade problem and in turn it dramatically speeds up the software delivery and customer onboarding process. Cloud removes the infrastructure maintenance and provisioning burden. Together they simply transform business in a remarkable way. B2B apps can finally compete with B2C apps in terms of feature delivery speed and cost. Let’s come back to the conversation with my friend. He thought that nothing was new here because he was thinking of B2C evolution. 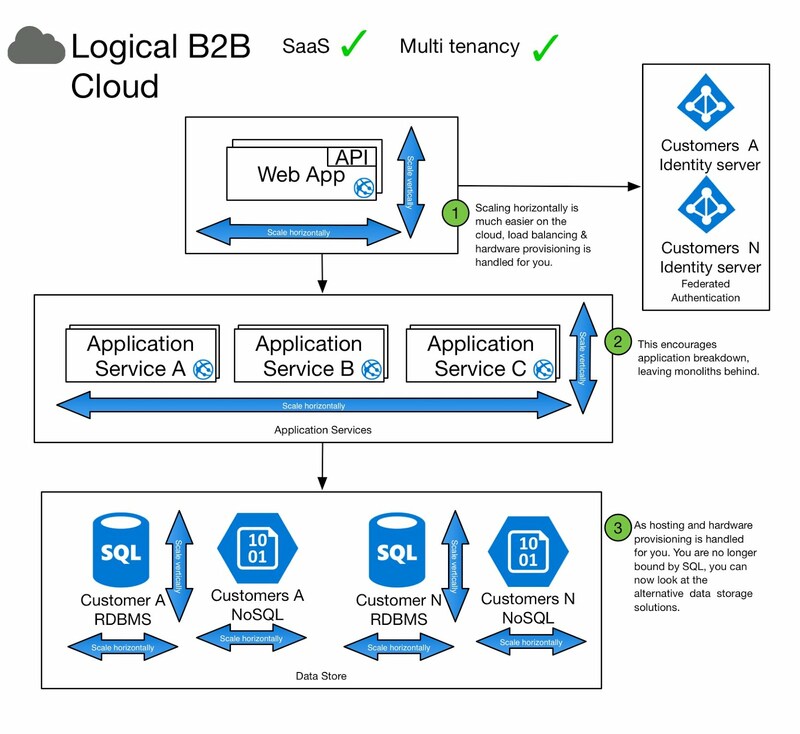 While I was thinking of B2B where multitenancy and cloud is transforming businesses and revolutionising business applications.